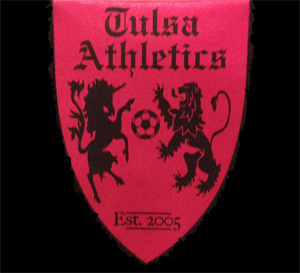 TULSA, OK—Levi Coleman was the hero on Friday night as he scored two goals, and Jordan Schmoker added another to push the Tulsa Athletics to a three-nil (3-0) win over Corinthians FC, a San Antonio-based team. All of the goals in the match came in the first 45 minutes and Coleman netted his first on the half-volley less than a minute into the match. Schmoker’s goal came off a rebound of an initially saved penalty kick. Coleman netted his second with just five minutes remaining in the first half. The second half of the match featured no scoring but was a lot more physical. Corinthians FC threatened several times in both halves but could not penetrate the Athletics defense to any serious degree. The win is the Athletics is their 7th win overall this season and first since their first regular season loss that occurred last weekend in OKC, where they lost 5-2. Fridays win also qualified the Athletics for the NPSL playoffs as they needed just one point to clinch a spot in the post season. The Athletics sat in first place in the north prior to Friday’s match with 18 points and a chance to clinch a playoff spot with a win over Corinthians. With 15 different goal scorers and 12 players with at least on assist, Tulsa has plenty of offensive options heading into the final weeks of the season. 1 point clinched a playoff spot and 5 points over the remainder of the season will clinch first place in the north. Earlier in the week the team announced that they would host the Houston Dynamo’s under-23 team next Tuesday, June 24th in Athletics Stadium. The Dynamo is an MLS team based in Houston, Texas and they sponsor a team of developmental players that compete as part of the teams developmental program. The match is a “friendly” game, in soccer parlance, and does not count toward the Athletics overall standings. 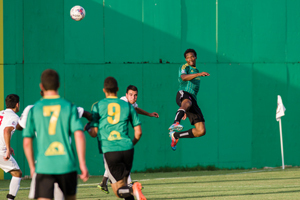 The A’s next match is against the Dallas City FC next weekend at Athletics Stadium with kickoff slated for 7pm. This entry was posted in Sports on June 21, 2014 by admin.